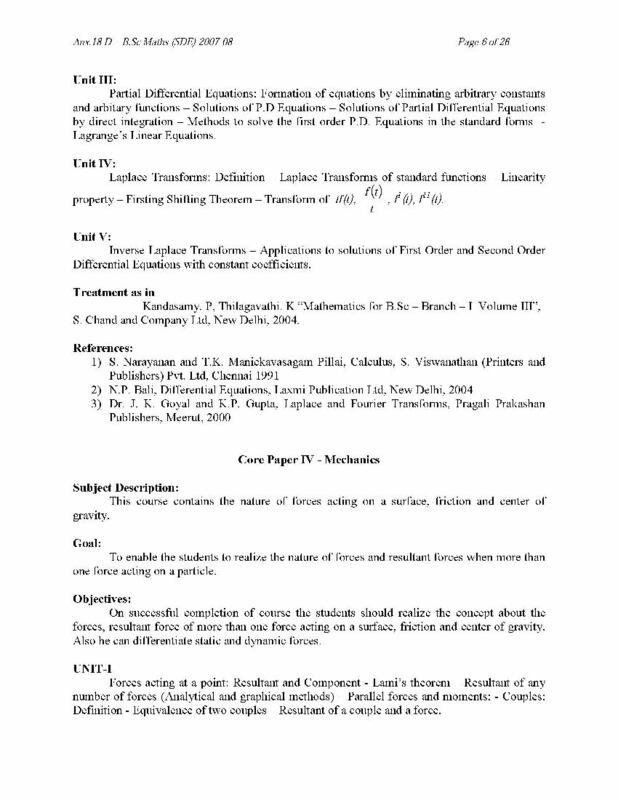 i am a student of BHARATHIAR University B.SC mathematics distance education so I need Syllabus of the program. please give me the syllabus. Last edited by Gunjan; December 7th, 2012 at 04:49 PM. 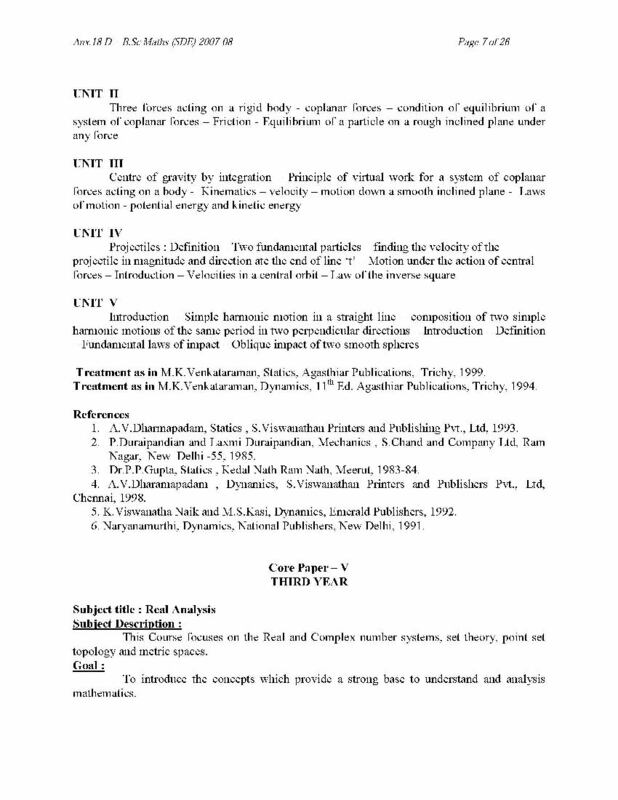 You are looking for BHARATHIAR University distance education Syllabus for the B.SC mathematics so here I am providing you Syllabus for the B.SC mathematics in PDF. 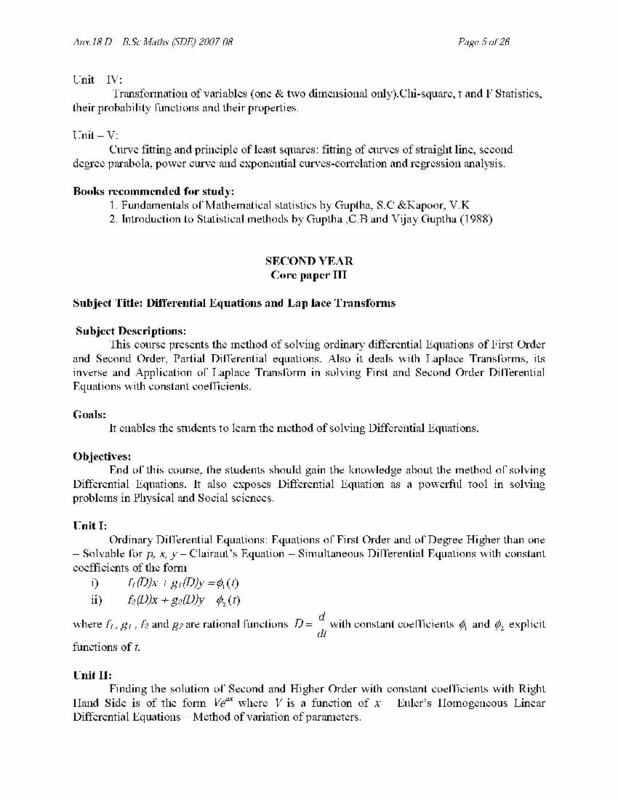 theory of equations, differential calculus and integral calculus,. 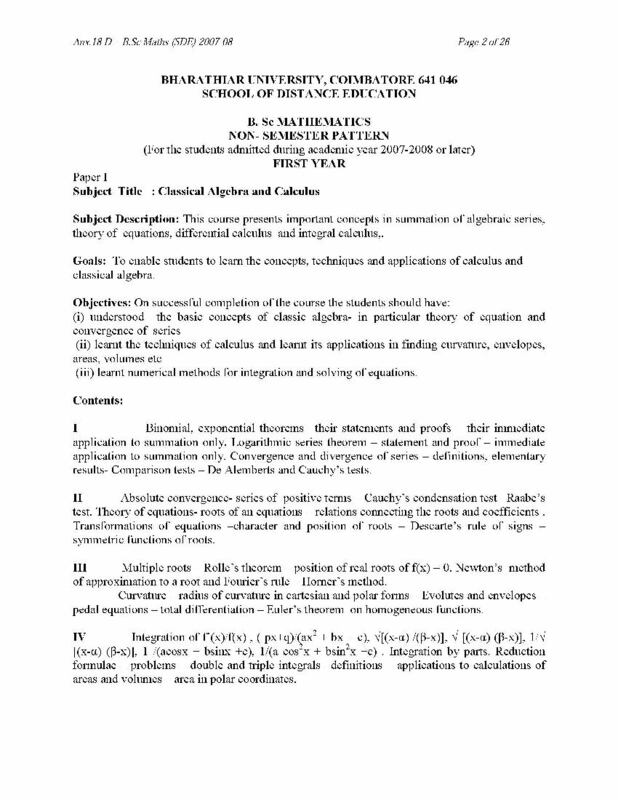 (iii) learnt numerical methods for integration and solving of equations. 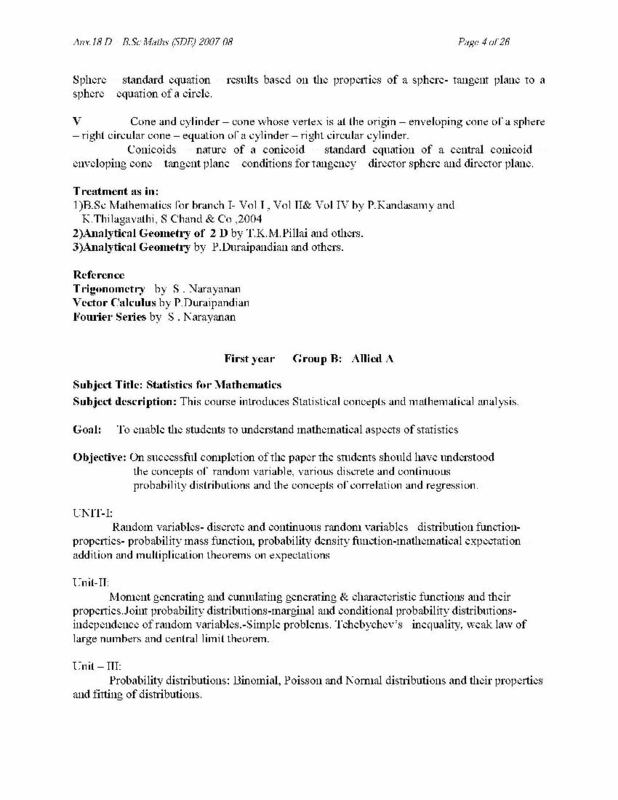 results- Comparison tests – De Alemberts and Cauchy’s tests. 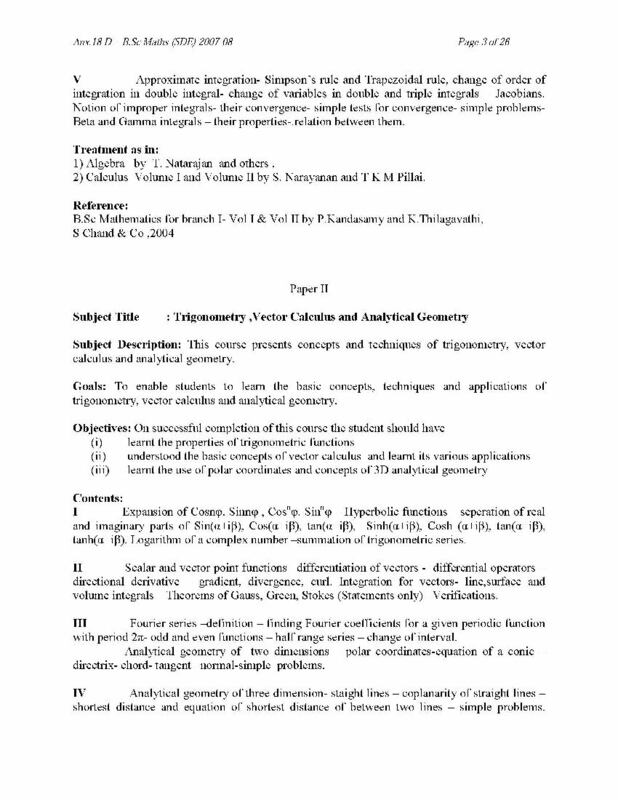 connecting the roots and coefficients . Last edited by Vinodt; February 13th, 2014 at 11:22 AM.